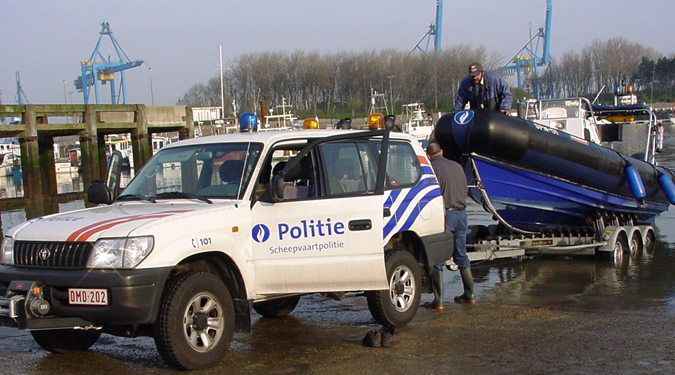 On the coast you will find the maritime and river police in the harbours as well as in the marinas. 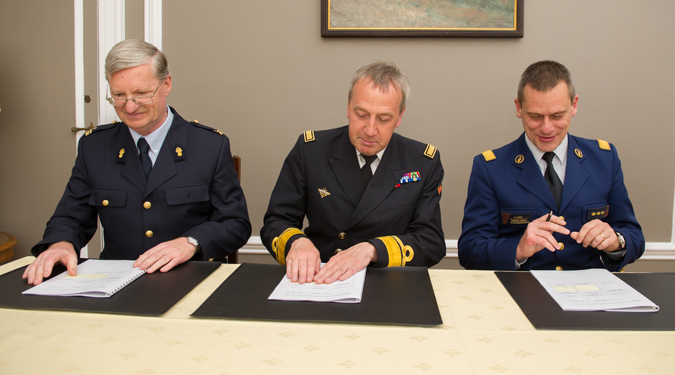 This division of the federal police controls with approximately 200 members of staff all legislation and regulation on and around the water. 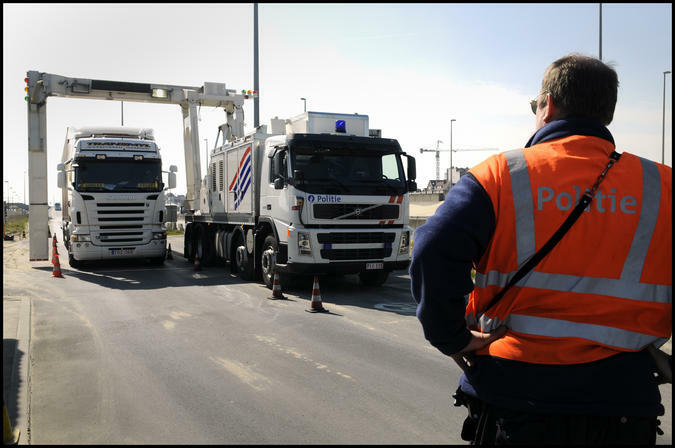 Border control is one of the main tasks and illegal immigration towards the UK is one of the principal challenges. 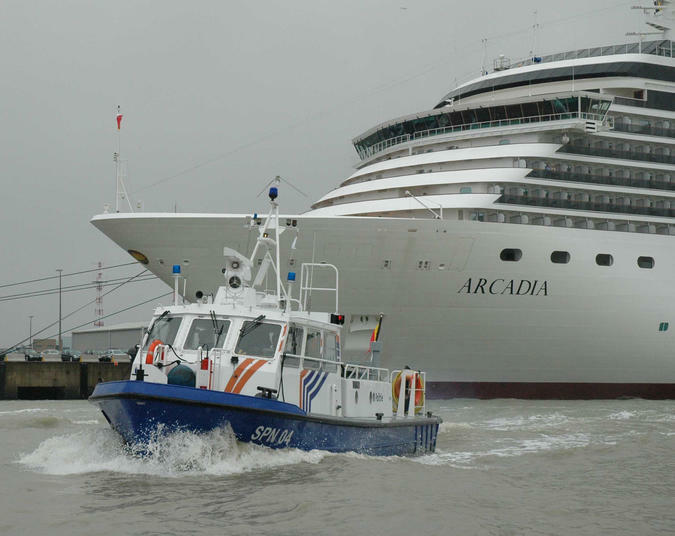 For this reason, the Zeebrugge – based maritime police has a technical support team, which can be mobilized, not only at the border and in the coastal harbours, but also in open sea and all across the country. 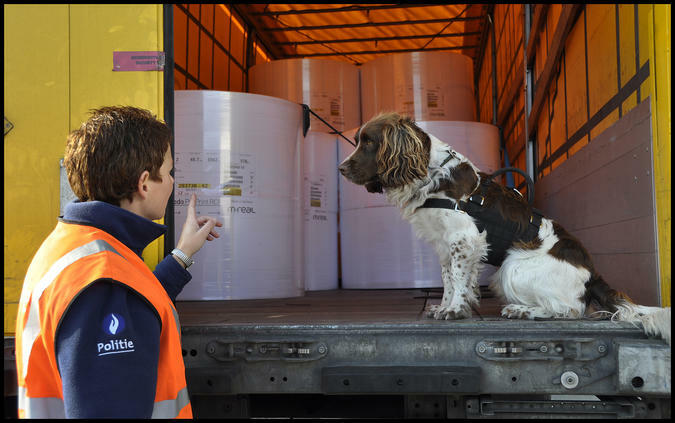 This support team has different means to its disposal, among which a mobile x-ray scanner, a sonar and an underwater robot. 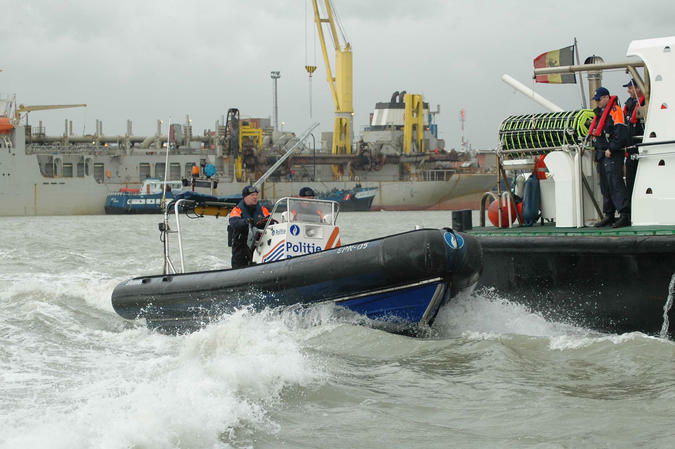 On the water, the patrol vessel SPN-09 is justly esteemed the maritime police’s flagship. 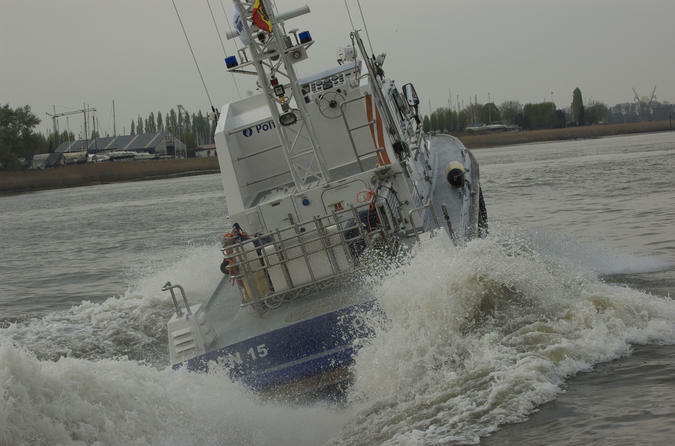 Furthermore, there is the rapid intervention vessel SPN 15, which reaches a maximum speed of 40 knots or approximately 80 kilometres per hour. 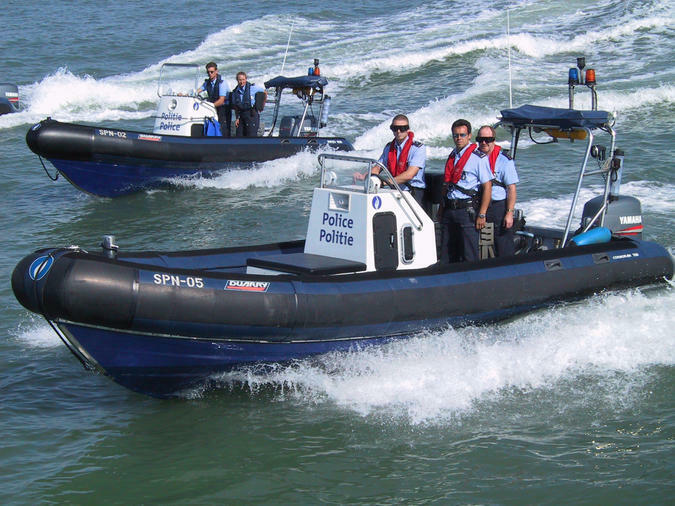 Together with the smaller-sized, manoeuvrable rigid hull inflatable boats (rhib), these are of inestimable value. 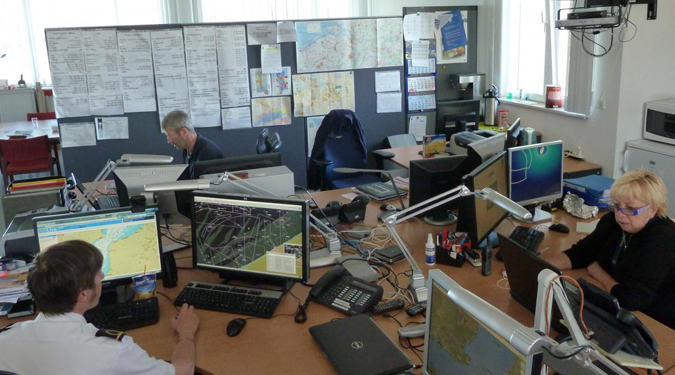 There is also a unit of the maritime police working in the Maritime Security Centre Belgium (MIK) in Zeebrugge. 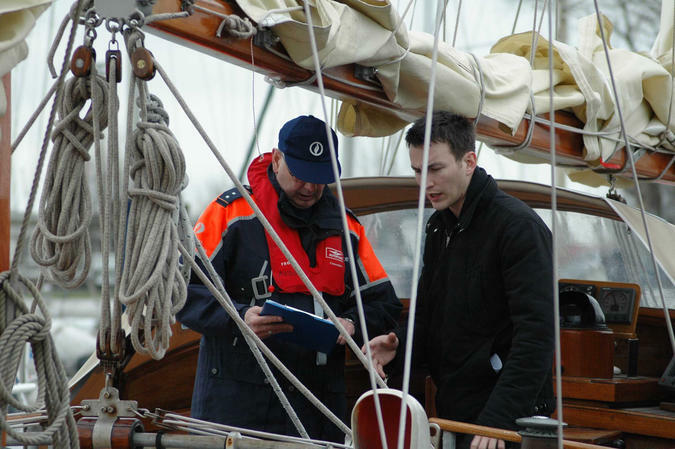 The maritime and river police aims at an integrated approach and wants to distinguish themselves as a partner on and around the water, not merely taking repressive action but actively contributing to solutions.